Look what finally arrived! This little piece of fun was handmade from a vintage frame. This beauty is going to hang in my living room. 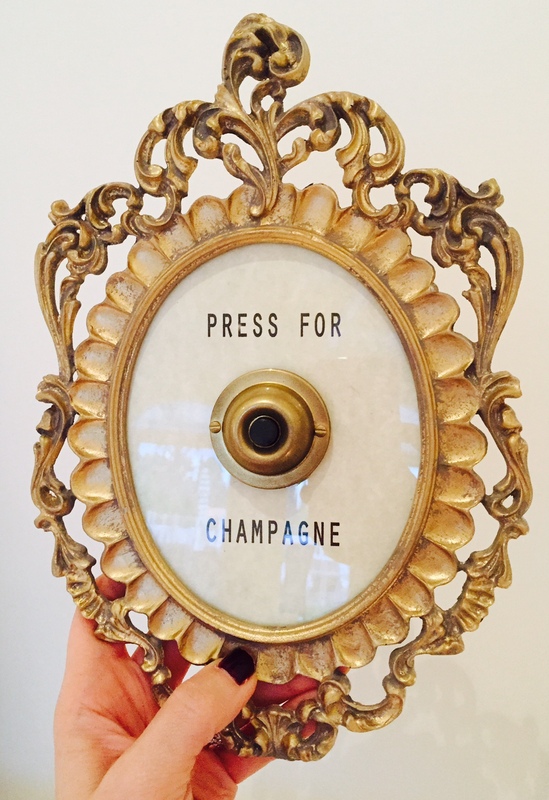 Not that I need anything to remind me that I need champagne – wink, wink! A little bit of extra glamour never hurt anyone. Cheers! Cute!!! Did you find it on etsy? You are nominated for the Liebster awards!